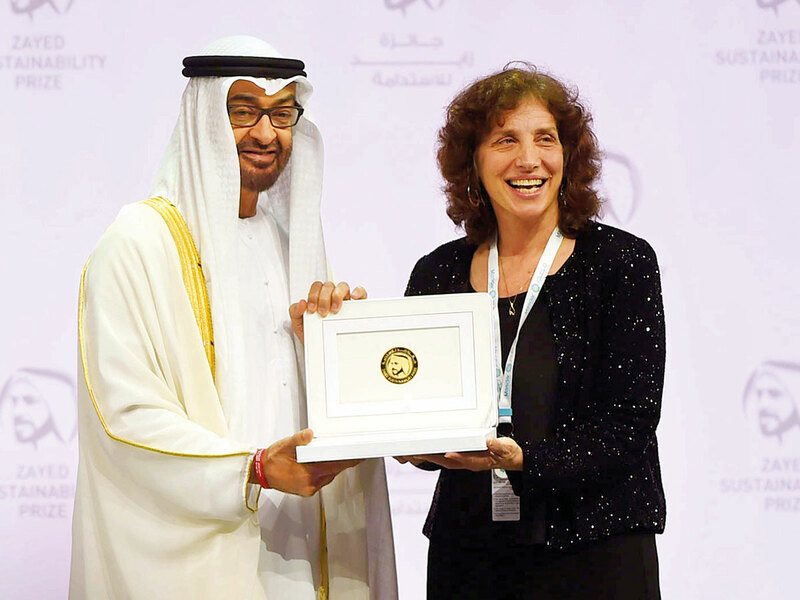 Abu Dhabi: In recognition for their work in improving people’s lives, the winners for the Zayed Sustainability Prize were honoured on Monday during a ceremony held in Abu Dhabi as part of Abu Dhabi Sustainability Week (ADSW). 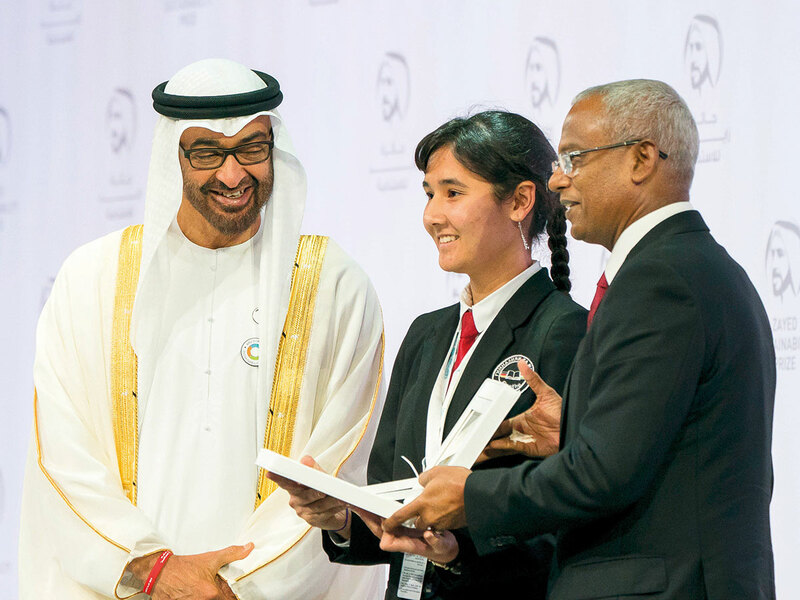 Launched back in 2008 under the name of the Zayed Future Energy Prize, the award has expanded both its scope and mandate beyond sustainable energy with the introduction of five winning categories such as health, food, water, energy and global high schools. The prize fund for each winning category is $600,000 (Dh2.2 million). 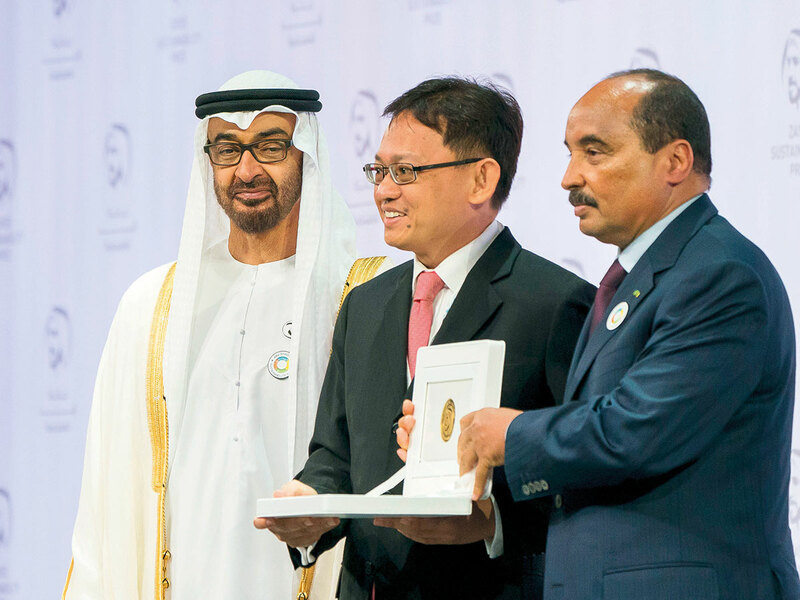 The awards ceremony was attended by several UAE Rulers, senior UAE government officials and international leaders, including His Highness Shaikh Mohammad Bin Rashid Al Maktoum, Vice President and Prime Minister of the UAE and Ruler of Dubai, and His Highness Shaikh Mohammad Bin Zayed Al Nahyan, Crown Prince of Abu Dhabi and Deputy Supreme Commander of the UAE Armed Forces. 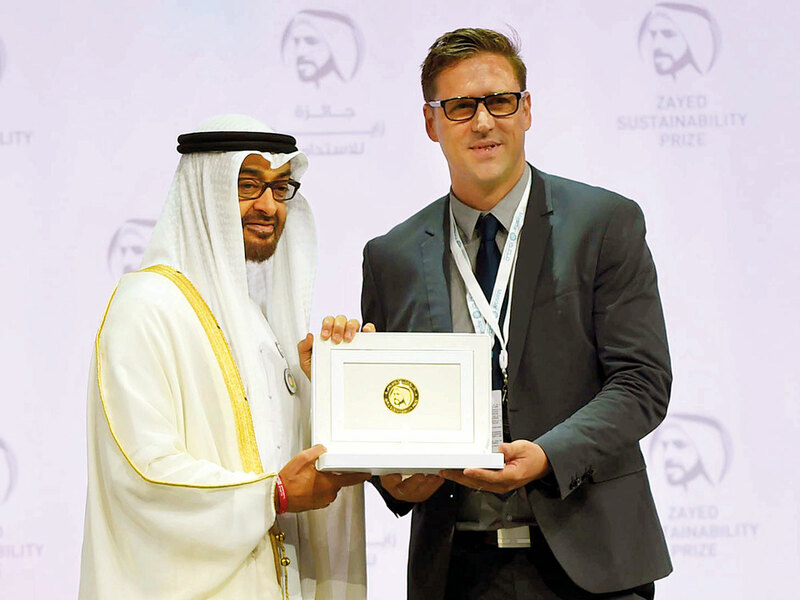 Since its inception, the Zayed Sustainability Prize has impacted 318 million people globally through projects that have been funded by the award, highlighting the importance of the prize and its significant reach. For each of the five different categories the prize evaluates the winning candidate based on the impact of their work and the positive change it has led to in the communities they are assisting. 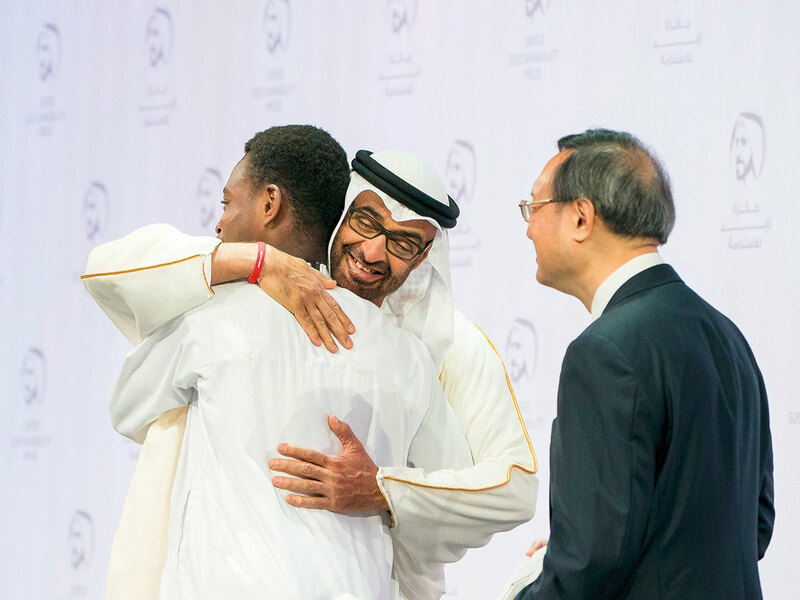 The prize aims to not only fund the winners, but to also raise awareness on their work with the goal of inspiring others to pick up the mantle and to play their part in helping communities around the world gain access to clean energy, water and food. The winner for this year’s health category was the organisation We Care Solar, with the group having created solar suitcases which provides health facilities without access to electricity with tools such as fetal monitoring, medical lighting, and communication. The organisation has so far helped 1.8 million women give birth with the use of their solar suitcases. Winning in this year’s food category was the non-profit organisation Sanku. The group works with communities vulnerable to malnutrition by providing local mills with innovative technology machines that adds micronutrients to their flour. The group currently has 150 such machines installed in flour mills in five East African countries, with 1 million people reached so far by their work. 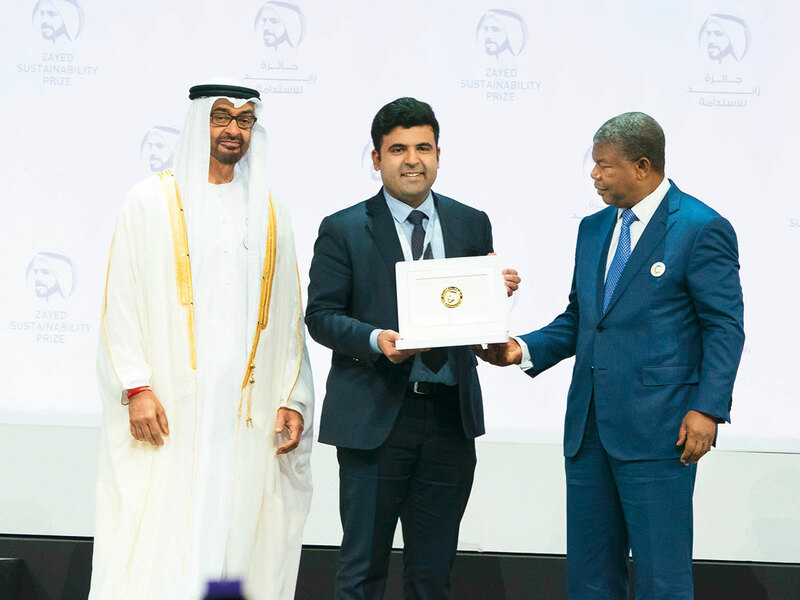 Having implemented 50 sustainable water projects in five countries and allowing more than 500,000 people access to clean water, sanitation and hygiene, the group ECOSOFTT were awarded as the winners for the water category. The winner for the energy category was the company BBOXX, with the company having connected over 675,000 people living off-grid with clean and affordable electricity. The company has removed 87,000 tonnes of CO2 per year as a result of their sustainable energy model, with at least 3,000 homes being connected to electricity everyday.